Chestnut Hill's Premier New Address: One West. 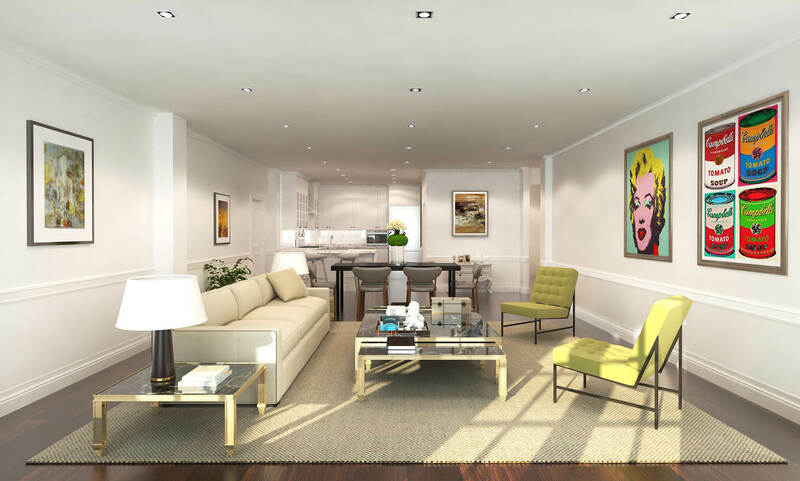 Twenty distinctive residences offering a maintenance-free lifestyle in the heart of historic, vibrant Chestnut Hill. These tastefully designed homes include the finest finishes, private terraces and expansive living spaces. With indoor parking and a variety of floor plans to choose from, One West combines the most appealing qualities of traditional Chestnut Hill living with the best contemporary possibilities. Unit 4G is a sunlit 2 bedroom, 3 full bath with study, 2041 sq ft of living space and 2 car parking. The gourmet kitchen is open to the dining room and living room. French doors lead to the large, 346 sq ft terrace. The spacious master suite features a large walk-in closet and master bath with double vanity. A guest bedroom suite offers a large closet, full bath and terrace access. Private study and a third full hall bath complete this open and bright unit. One of Philadelphia's most desirable neighborhoods, Chestnut Hill is known for its rich history, unique architecture, impressive parklands, and lively commercial district. With an address that is central to this urban village, One West offers a location that is singularly Chestnut Hill. Just 30 minutes to Center City Philadelphia via regional rail, Chestnut Hill is the perfect example of a transit-oriented development.